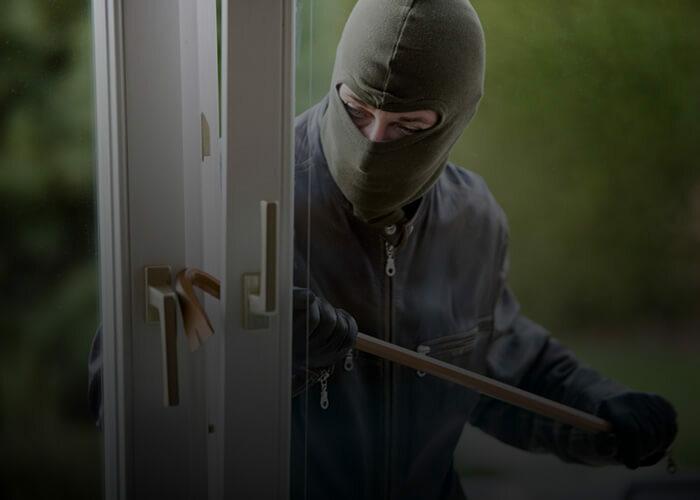 When a break in occurs while your home, you should have a plan in place. Do this immediately. We tend to have our phones next to us when sleeping so be sure its fully charged and ready. When you call, quietly, but clearly, tell the operator your name and address and that there is an intruder inside your home. After having listened, gaining information about the number of intruders, male or female, etc., report this to the 999-call handler. Also, if you can tell just by listening, tell the call operator which room and what floor the burglar is currently in. The call handler will provide you with helpful advice to keep you and everyone else safe, so stay on the line. Also, the sooner you call, the sooner help will arrive, so make it a priority to call immediately. The 999-call handler may ask if you can get out of the house safely. If you can, after having listened to and determined the burglar’s location, this is the time to make your move. On the other hand, if you can’t make a safe escape, stay in the locked room and remain on the line with the operator until the police arrive to handle the situation. Confirm with the operator that police are on the property and when they clear the house, deeming it safe for re-entry. Is it time to get some security measures in place? Here at All Secure Security we are more than happy to advise and give a free no obligation quote for your home security. We hope that a break in never occurs to anyone, but if it does, we want you to take the proper steps to ensure everyone is safe. Get in contact with the office to discuss your security needs.